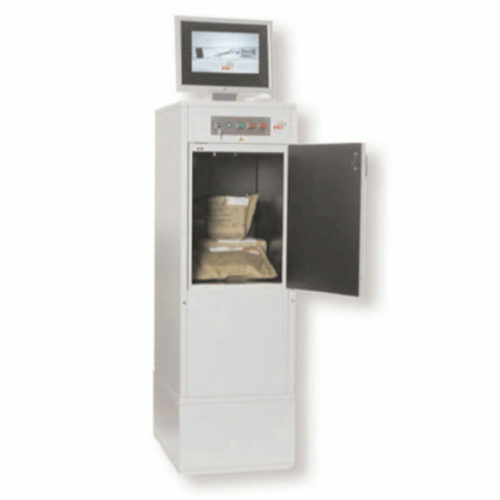 This X-ray scanner is designed for security control of incoming mail, such as parcels and letters. The PKI 7110 is used at embassies, courts, jails, ministries, military departments and factory security offices. It works with a special short-time exposure and records the taken x-ray picture for further analysis. X-Ray scanning is only done behind closed protective door. If the door happens to be opened prematurely the x-ray scanning will stop immediately. PKI 7110 complies with CE and X-ray regulations.